Lana Del Rey is the latest in a string of high-profile artists to be accused of copying fellow artists with a much higher respected profile than themselves. Ed Sheeran settled out of court with a pair of songwriters after similarities were found between his song Photograph and the Matt Cardle song Amazing, and retrospectively added the writers of TLC’s No Scrubs to the credits of his enormous hit Shape of You (and thought no one would notice). Tom Petty and Jeff Lynne were added to the credits for Sam Smith’s Stay With Me in 2014, while in 2015 Robin Thicke and Pharrell Williams were successfully sued by Marvin Gaye’s estate for $7.4m after it was found that their track Blurred Lines plagiarised Gaye’s hit Got to Give It Up. 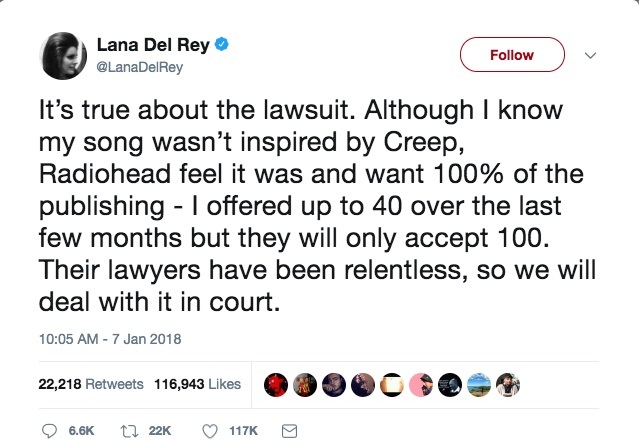 Lana took to Twitter, letting her fans know of the imminent lawsuit she was facing with the band Radiohead over similarities between her track from recent album, Lust for Life, Get Free and the timeless RH classic Creep. Radiohead fans were on edge awaiting a counter-statement after that and it seems while they were waiting they appeared to stumble upon previous allegations that their own track, Creep, was a rehash of The Hollies’ track The Air That I Breathe. So the story goes, Radiohead were sued themselves by the band and settled in court on a 40% royalty pay-off with the writers of the original being given credits on future releases of Pablo Honey’s track-listing. Controversy over the whole ordeal has risen now as some folk still believe Radiohead have yet to pay out any of the owed credit, with some claiming the attack on Del Rey is a last-minute scrape of the barrel to help raise the funds to pass on to The Hollies. She closed in saying that it would probably be the last we’d hear of the lawsuit from her. 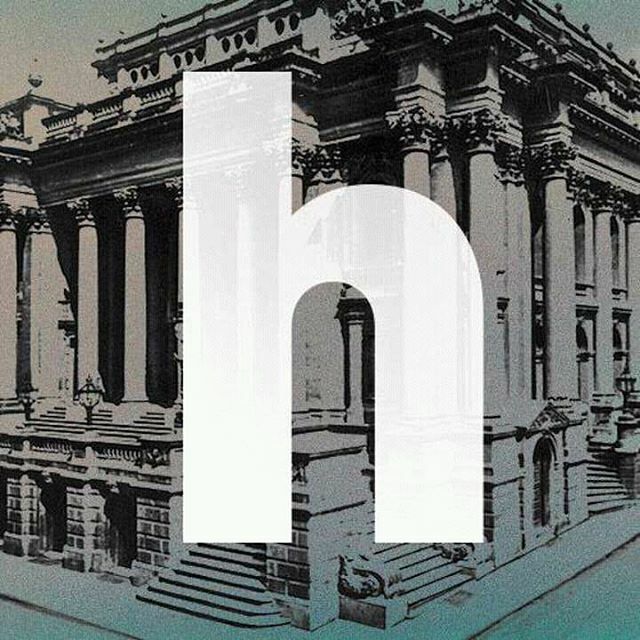 However, in a twist of events, a representative of Radiohead within Warner/Chappell’s stateside HQ issued a rebut of the events, falsifying the claims that any legal action would be taken at all. What do you think, was this all perhaps just a clamber for the first five minutes of fame for 2018 by Del Rey? Or did backlash from the infamous fanbase of hers possibly tilt the direction of events behind the scenes? Let us know below, and in the meantime, listen to both all of the tracks involved and come to your own conclusion.